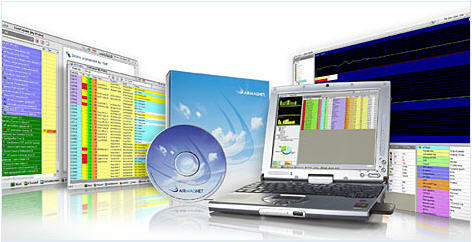 AirMagnet's Laptop Analyzer is the industry's most popular mobile field tool for troubleshooting enterprise Wi-Fi networks. Laptop Analyzer helps IT staff make sense of end-user complaints to quickly resolve performance problems, while automatically detecting security threats and other network vulnerabilities. Although compact, Laptop Analyzer has many of the feature-rich qualities of a dedicated, policy-driven wireless LAN monitoring system.